it's exactly what we were told way back. a pizza box. anyway, i like it. i think they could have done a bit better with the design... i wish it were not so boxy... round the corners like the iPod. 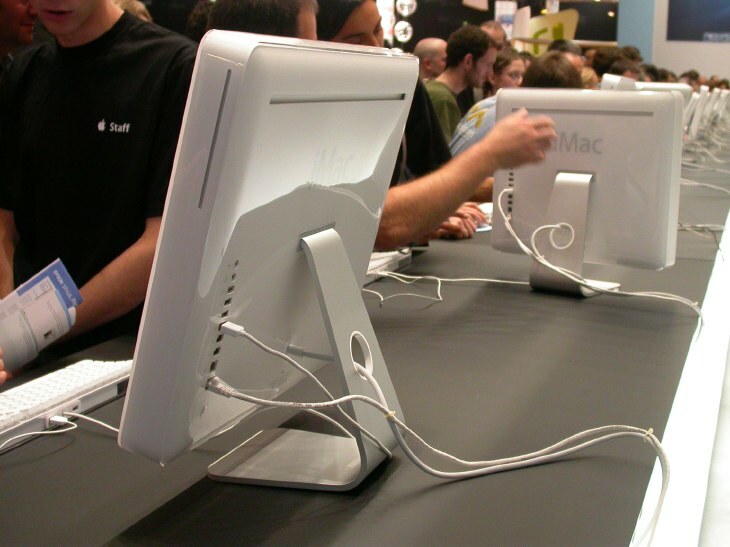 and why not stick with the iPod design and put a shiny back on the iMac! but overall, i like it. a G5 computer with a footprint smaller than my telephone! Hey! What is the origin of that photo? Are there any others? You can always check the source of an inline image to find this out.